The ‘pane’ design allows you to maintain focus of your document whilst searching for MatterSphere fields and configuring the conditional statements you need. It includes all the functions available to you using the built in MatterSphere precedent tools, but in a very user friendly and accessible way. Plus more! We built it because as a Thomson Reuters Elite 3E MatterSphere implementer, we were struggling ourselves to maintain sophisticated precedents using the built in MatterSphere tools. We also recognised that the average IT department does not have the resources available to maintain precedents. Precedent Administrators or secretaries now have a tool empowering them to create complex precedents without IT assistance. What do we need in our Precedents? MatterSphere Fields! What is the easiest way to add them? Drag n drop! Search for the field you need, drop it where it needs to go. Simple! Simple Functions to “code” your MatterSphere precedents – without code! Make it easy for your precedent administrators by publishing the fields they need to use regularly with help text and friendly names. Use powerful conditional statements to include text by paragraph, sentence, table or row. Optionally bring in clauses or content based on user selection. 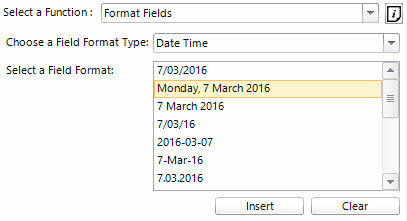 Apply formatting to Currency, Date Time and Number fields. Or apply the case syntax for text fields to appear in Uppercase, Title Case etc. Enable sections of text to repeat in a document based on data supplied by MatterSphere Search Lists. 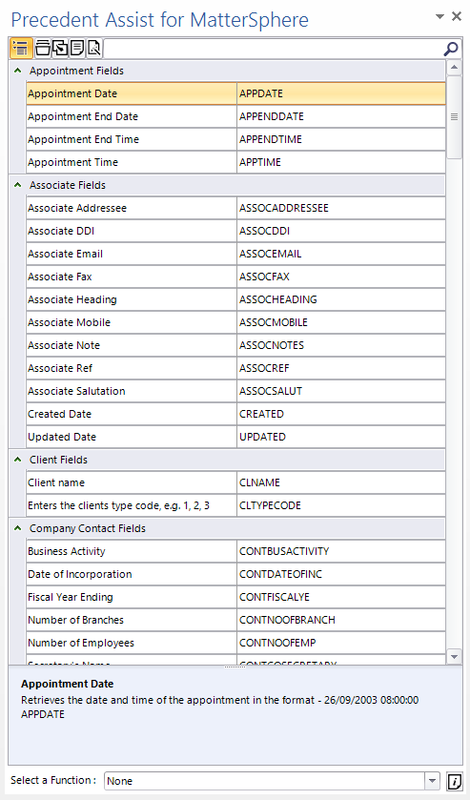 Eg loop through and output details of all associates on a file in a block fashion.